There’s been very little “off” this offseason for Bill O’Brien as he plunges head-first into his second season as Penn State’s head football coach. Unless you mean off and running. Interviewed with two NFL teams; met with more than 80 members of the media inside Beaver Stadium to say he’s staying at PSU; spoken to over 5,000 coaches at the American Football Coaches Association convention in Nashville; beaten out Urban Meyer and four other coaches to receive the Paul “Bear” Bryant Coach of the Year award in Houston; promoted one John Butler to defensive coordinator after incumbent Ted Roof went south; and spent time on the road recruiting. Make that hours and hours of time on the road. In between recruiting stops at a pair of Philadelphia high schools last week, O’Brien told ESPN.com’s Josh Moyer in a telephone interview that he’d already visited over 30 Keystone State high schools – and counting – during the countdown to the national signing date on Wednesday. (Moyer’s in-depth piece, by the way, is an excellent read.) That’s only the beginning, even though the season-opener against Syracuse in the New Jersey Meadowlands on Aug. 31 is still 208 days away. O’Brien must wedge the logistics of making the hire between now and Monday, March 18, the first day of spring practice. Here is also what is on his plate – in some cases, literally. By these accounts alone, the 43-year-old coach looks to be continuing at the breakneck speed he started last January and has yet to scale back. National Letter of Intent Day, Wednesday -- Though they already have a very good idea, in a few days O’Brien and his staff will officially learn the results of their first full year on the recruiting trail while operating under unprecedented circumstances. It is the first day high school seniors receiving a scholarship may officially commit to Penn State in writing. That afternoon, O’Brien will meet with the media. Bios on the Nittany Lions’ 2013 signees will be posted on www.GoPSUsports.com throughout the day as letters are received. Mr. PA Football Awards, Hershey, Saturday -- O'Brien will be the keynote speaker at the third annual awards program that honors the top two high school football players in the state, for small schools (A/AA) and big schools (AAA/AAAA). The banquet begins at 6:30 p.m. at the Hershey Lodge and Convention Center. Penn State Shenango’s “Friends of Penn State” dinner, Feb. 13 -- O’Brien will be the keynote speaker for the Commonwealth campus’ annual banquet in Sharon. Sponsored by the Penn State Shenango Alumni Society, the dinner benefits Penn State Shenango student scholarships and Special Olympics of Pennsylvania. THON, Penn State’s Dance Marathon, Feb. 15-17 -- On Saturday the 16th the Penn State football team will host about 25 families at its annual THON Make-A-Wish event in the Lasch Building. And while there has been no official announcement for 2013, last year O’Brien addressed 16,000 THON participants in the Bryce Jordan shortly after midnight on the Friday of the event. In that appearance, O’Brien announced that he would, on an annual basis, personally buy season tickets to the next football season for the top fund-raising couple. Breakfast With Bill O’Brien, Carlisle, Feb. 19 -- To kick off the 100th anniversary meeting of the Carlisle Camber of Commerce, O’Brien will speak about the event’s theme, “Leading in a Time of Transition.” The breakfast will be held at 7:30 a.m. in the Carlisle Expo Center. Chamber organizers are calling for a WhiteOut. Football Foundation and Scholar Athlete dinner, Lehigh Valley, March 3 -- O'Brien will be the featured speaker at the annual Lehigh Valley Chapter of the National Football Foundation and College Hall of Fame Scholar Athlete banquet at the Northampton Community Center. The banquet is slated to start at 4:30 p.m.
New England Football Coaches Clinic, Foxborough Mass., March 8-9 -- O’Brien will return to his old stomping grounds in Gillette Stadium, where he was formerly the offensive coordinator for the NFL’s New England Patriots. In a two-day event sponsored by the Patriots and the Massachusetts High School Football Coaches Association, O’Brien will be the clinic’s keynote speaker. O’Brien was a three-year starter for St. John’s Prep in Danvers, Mass., and was a team captain as a senior. He graduated from St. John’s in 1988. Spring Practice, March 18 – The is the first official day of spring drills, with 15 practices culminating in the April 20 scrimmage. Penn State is on spring break March 2-10. Football Coaches Clinic, Penn State, March 22-23 -- Hundreds of high school and youth coaches from across the nation will descend on University Park for two days of clinics featuring sessions with Penn State’s assistant coaches and strength and conditioning team. 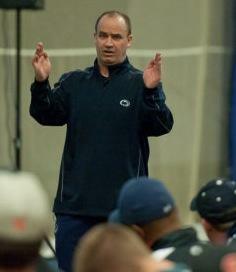 The first night, O’Brien will speak to all attendees, who will then attend a full Penn State practice the next day. Blue-White Game, Beaver Stadium, April 20 -- Last season’s intra-squad scrimmage, O’Brien’s first at Penn State, featured a complicated scoring system that was only understood by Nittany Lion guard John Urschel, who earned his mathematics degree in three years, and O’Brien himself. Urschel, who is returning to anchor the offensive line, is teaching Math 041 this semester on the University Park campus. The course's official name is “Trigonometry and Analytic Geometry” -- good to know if O’Brien plans to put in any trig plays for the spring. 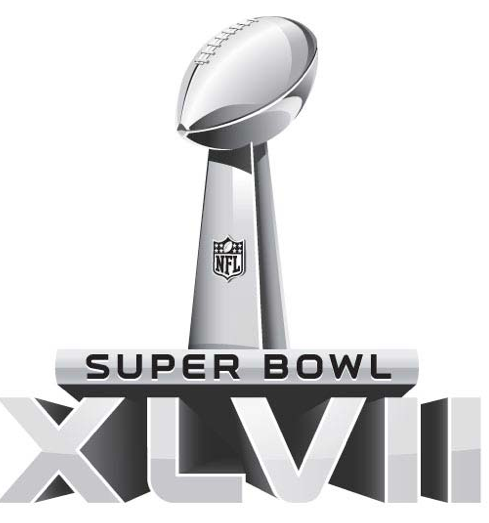 With Super Bowl XLVII hours away, we thought we’d give some of you a chance to show off your knowledge about this once-a-year mega-event and some of its history. Football fans should find most of these fairly easy (some not so much), but since they’re multiple choice, you can close your eyes and still get 25 percent of them right! So get out the iPad, log onto Google, and here we go.